In the postwar period, Japanese politics has evolved considerably, with issues of gender, representation, and household economics becoming increasingly salient. Meanwhile, since the end of the Cold War, Japan has joined other developed states in the process of decentralization and deindustrialization. Yet, its restructuring has come at a slower pace, as the Japanese bureaucracy attempts to retain a more traditional approach. This book, a translated and updated version of the author's 2010 monograph Nihon seijiron, traces these developments in Japanese politics from the end of the Asia Pacific wars to the present day. Examining each of the key stages of transition, it looks at four aspects of Japanese politics: high politics, interest-centered politics, life-centered politics, and globalization. It also provides up-to-date analysis of contemporary themes, including the Abe administration’s challenge to international politics and coverage of nuclear issues. Written by an experienced Japanese scholar, this book ultimately demonstrates how globalization has transformed the nature of local politics, as well as national security. However, as seen in the recent triple disaster of 2011 (a chapter on which has been added), Japanese politics retains traditional practices that have led to corruption, scandal, and political mistrust among the electorate. 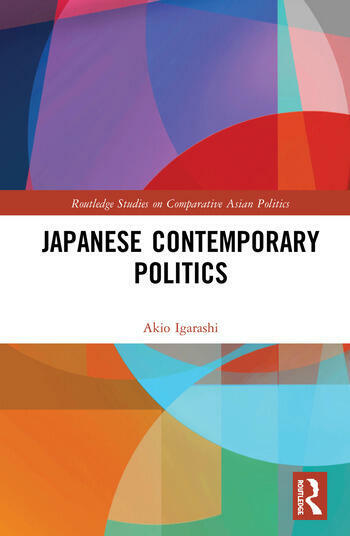 Offering a comprehensive introduction to Japanese politics, this book will be invaluable reading for students and scholars of Japanese politics and comparative and Asia politics in general. 6. "Local Politics: The Frontier of Japanese Politics"
Igarashi Akio is Professor Emeritus at Rikkyo University in Tokyo, Japan. He has written extensively on issues involving globalization, comprehensive security, referenda, and, most recently, gender politics.